Unplanned trips are better, because they often materialize ("yung mga di planado, yun ang natutuloy"), said my best friend Herbert. I wasn’t sure if that’s a good idea, though. Hahaha. By unplanned means not buying tickets in advance, or not anticipating that everyone else flocks to where you are going. Could be a problem, indeed! 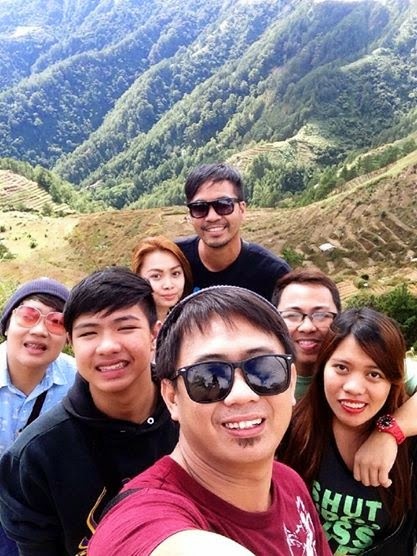 And I am talking about our Baguio trip. But, unplanned as it was, we were still able to enjoy our overnight stay in the Summer Capital of the Philippines, last January 15-16, 2015. 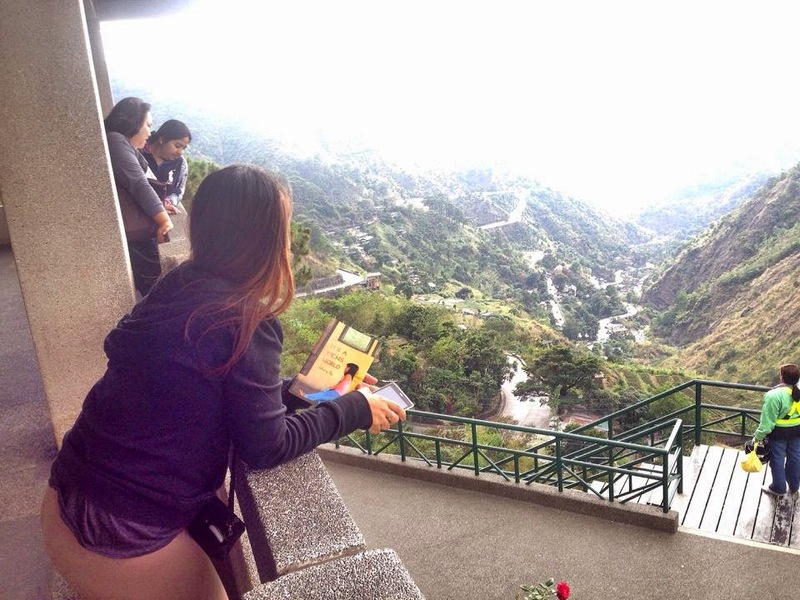 Uhm, what could one do for an overnight stay in Baguio?! There’s much to do. Really! Let me share with you our crazy adventure. 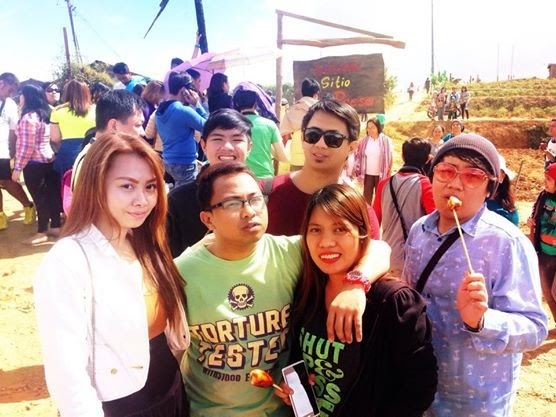 Karen and Aris, her boyfriend, were already in Baguio a day prior to our trip. I told my other best friends Rhose, Harold, and Herbert to go to our house in Valenzuela first and have their lunch there as it’s their god daughter’s (my niece’s) 10th month birthday. We left our house by 1pm and took a cab to Cubao. Matt, Harold's friend, joined us. 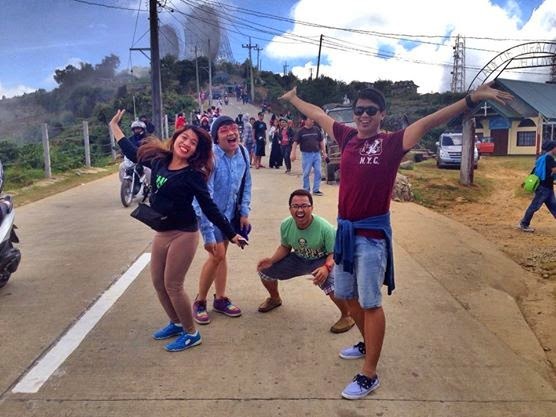 As soon as we alighted the cab, we were overwhelmed by the number of people waiting for the Baguio-bound buses! And much to our disappointment, all tickets were sold out! Waaahhh! What to do?! Of course, we had to think of an alternative. Thus, we decided to take the bus (First Solid North) going to Dau. 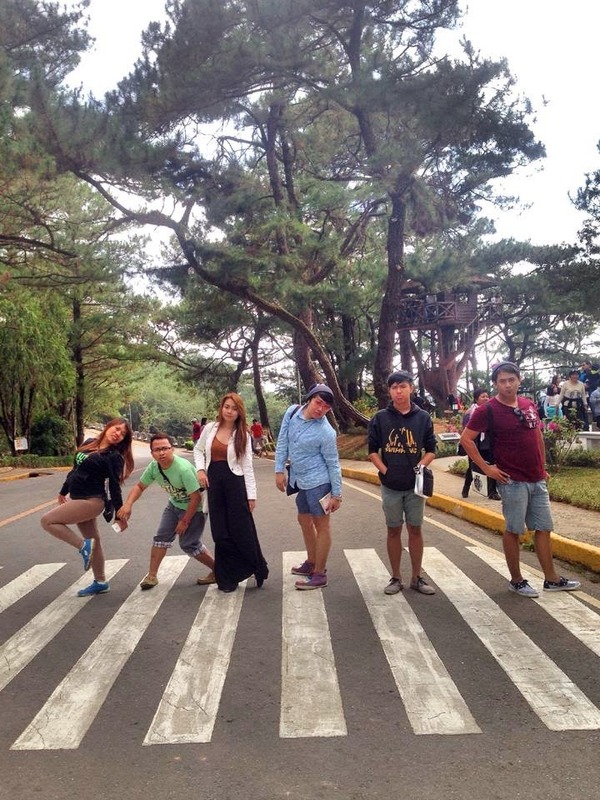 From there, we would just transfer to another bus going to Baguio. And we followed the plan. 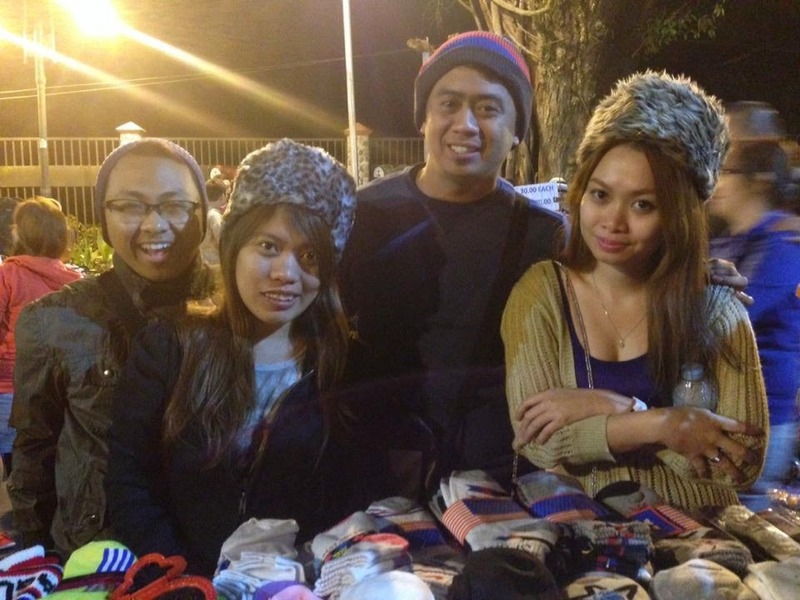 From Dau, we transferred to Genesis bus, and after 8 hours and a number of stops, around 10pm, we reached Baguio! Yey! We rode a taxi to our hotel, Ina’s Mansion, which was just a few meters from Burnham Park. Karen reserved the family room with 2 bedrooms, a sala, kitchen, toilet and bath, and a balcony for Php 2,700/night. Not bad! After freshening up, we started our adventure! 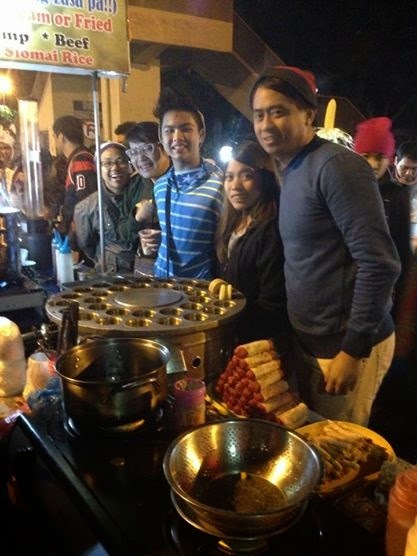 First, we had our humble, and “tipid” dinner at the bus terminal at the foot of SM Baguio. 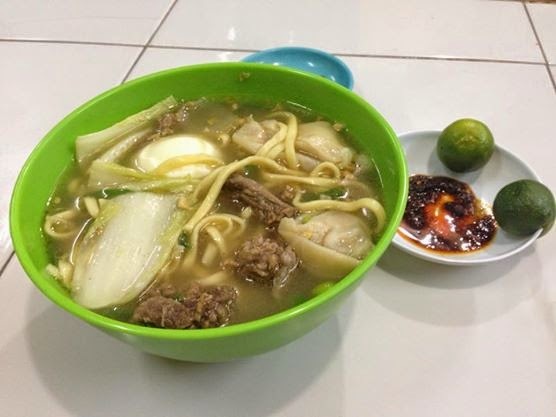 The Special Mami (with beef, egg, and siomai) worth Php 60 was really a good buy! 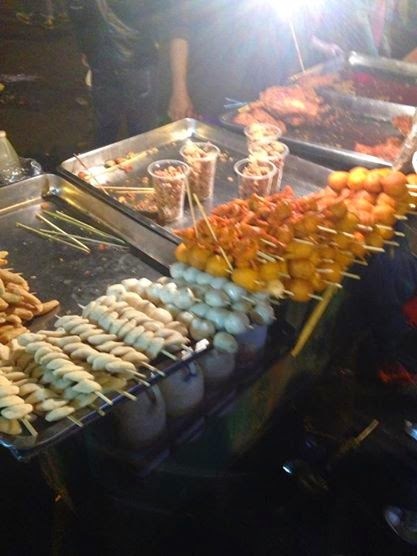 We also had some bites of street foods, including siomai, hotdogs, and chicharon bulaklak. But the best among these was the binatog with milk! 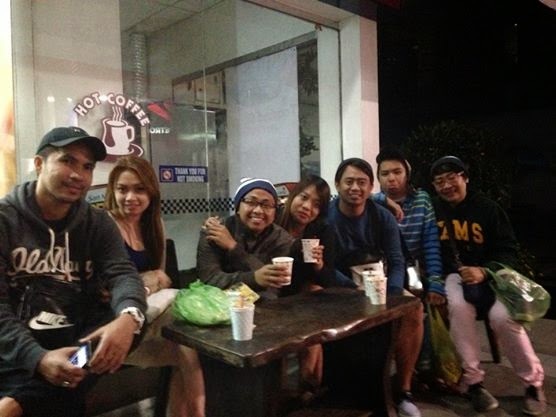 Lastly, we bought coffee at the nearby SanMig Food Ave., before going home, and finally calling it a night. Coffee to cap off the night! We woke up early “para makarami” (so we could accomplish many things). 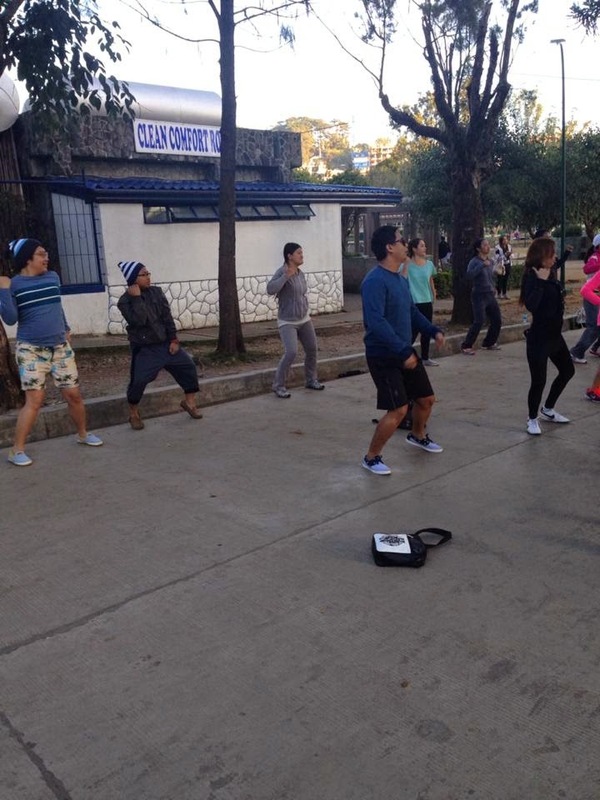 To ensure that our bodies were warmed up for the entire day, we walked to Burnham Park and participated in Zumba! What made this Zumba dance fun was that they were playing new songs, such as Bang! Bang! By the way, it’s my first time to do Zumba! I realized, I missed dancing! After exercising, we had our breakfast at a nearby restaurant, Kamayan sa Ganza. The food was so-so, though. Then, we returned to our hotel to take a bath and change clothes. By 9am, we were all ready! Our rented Adventure (for Php 2,500 for the whole day) was already waiting for us. 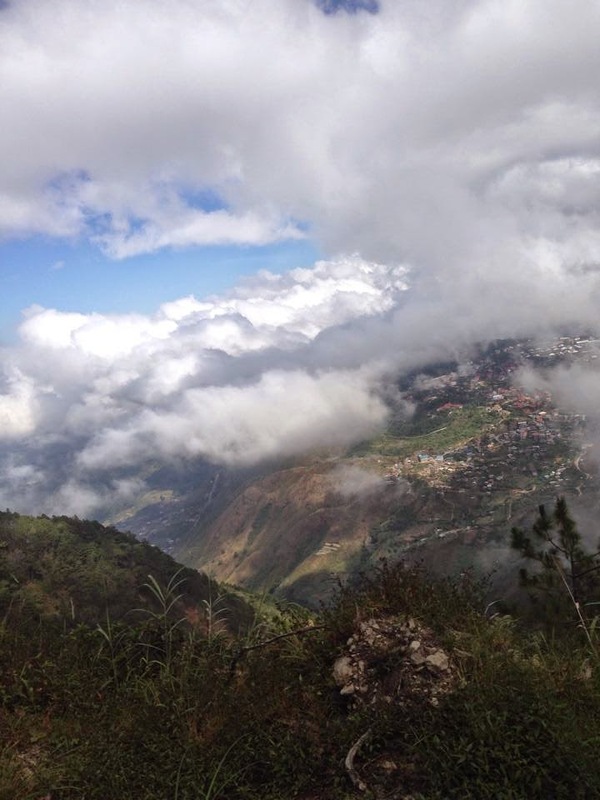 Because of the hit teleserye Forevermore, Sitio La Presa in Benguet has become a destination. But hey, going there was really a challenge! Indeed, its monicker “la parusa” was very apt! In fairness, it’s still a good spot for picture-taking – we had to pay the price of a good photograph! ...why the Parusa, La Presa? 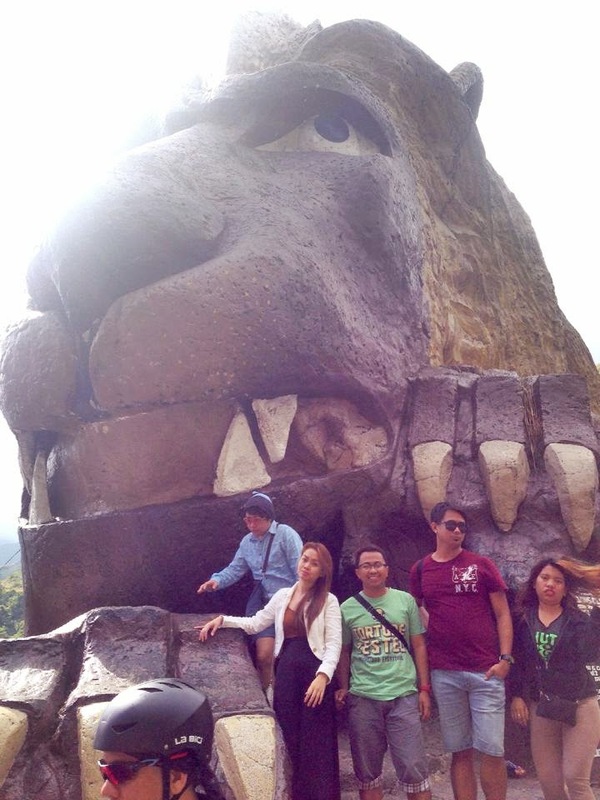 The first time I went to Baguio in 2013, I wasn’t able to visit this popular monument. Glad I had my photos taken with my best friends this time! Our driver insisted that we see the top view of the ZigZag Road. And so we did. One thing that I liked about the PMA Campus was its cleanliness and orderliness, an environment befitting the disciplined and structured (future) defenders of our country! Karen and Aris bought their pasalubong at Good Shepherd. I bought mine (Ube Jam and Chocolate Flakes) outside the famous establishment because I did not have the patience lining up! There were just way too many people buying pasalubong! 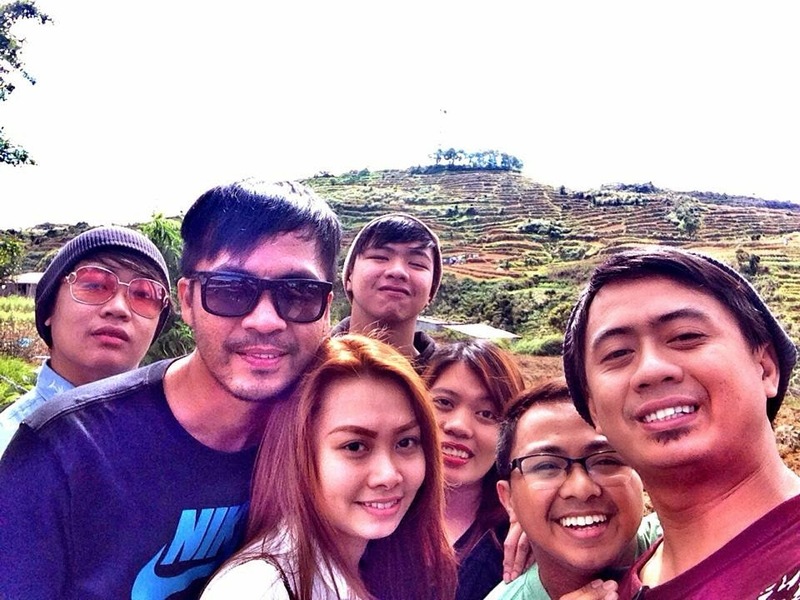 Again, everyone’s in Baguio! We did not go inside Mines View because everyone had been there before. Also, we needed to go back to the terminal to purchase tickets for buses bound to Manila that night. (It’s actually me that needed to go, since I had to report to office by 8:30am). When we checked for available trip tickets from Victory Liner, we were shocked to see a déjà vu! It’s the January 15, 2015 Cubao scene again! To cut the long story short, we decided to take another bus, an Avenida (instead of Cubao)-bound bus. We just ate siomai, siopao, and congee inside the bus. 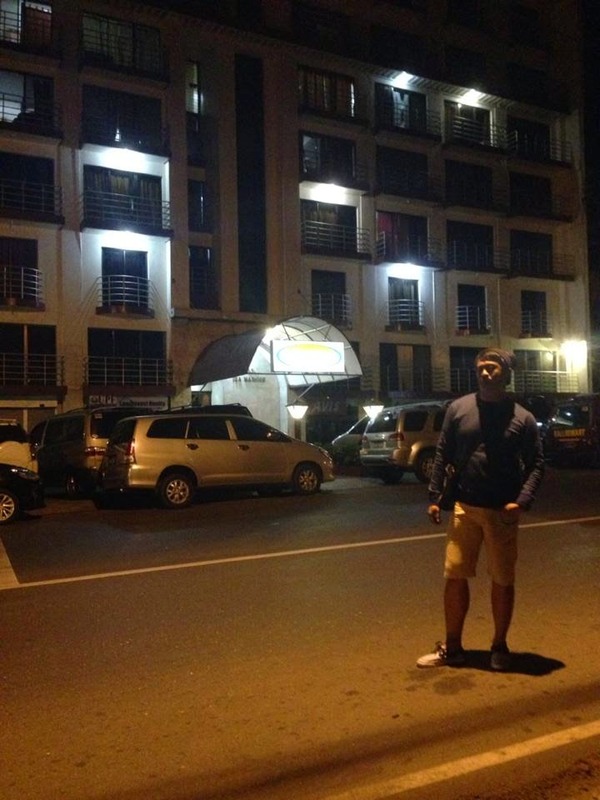 We left at 8:15pm and reached Balintawak at 1:30am, January 17. Yes, we wanted it that way. Haha. Gala pa more!